H-Craft Championship, a game done with the Irrlicht engine: www.irrgheist.com. I always enjoy working on Irrlicht related projects in case you want to hire me as freelancer. Examples and code-snippets with Irrlicht. My playground repository for all kind of experiments with Irrlicht: irr-playground. Source-code for H-Craft Championship, my free 3D Sci-Fi Racer: H-Craft Source. Both implementations need tinyXml to work. A more complex stringtable implementation that supports strings with parameters. It also needs tinyXml to work. Sometimes you need more than one timer in your game. For example you have often one global timer which runs always, while you mostly also need a game-timer which must be paused while your game is in pause-mode. That's why i made a wrapper around the irrlicht timer. You can create several instances of this timer class. You need to call Tick() for each instance regularly. Truetypefonts from zgock from this post. My version contains a few bugfixes (mostly for memory leaks, but also for font-height) and is adapted to a newer Irrlicht version. To get it working you also need to link freetype (http://www.freetype.org/) to your project. I tested it with freetype 2.3.5. For more comfort I have created two more classes. The simpler one is a fontmanager which you can just drop in your project and it will make the memory-management for the fonts easier. If you also need serialization (loading and saving the gui-elements together with fonts) the fontmanager won't be enough. To do that we need a fontfactory. That is not supported so far in Irrlicht so you will have to patch Irrlicht itself when you need that (there are reasons why this patch isn't yet in Irrlicht). Once you have patched Irrlicht you can use the the factory, which looks and works rather similar to the fontmanager. COctTreeSceneNodeTriangleSelector does use the octree which is already available when creating an COctTreeSceneNode. Usually that octree is only used for rendering the scenenode, but with my class it can also be used for the triangle selector. The reason for this was that creating COctTreeTriangleSelector, which is usually used, takes a very long time for complex models. I had also to make some changes in COctTreeSceneNode so i put those files here also. Then engineversion i use myself is currently a mix of Irrlicht 0.14 to Irrlicht 1.2 and svn so i can't guarantee that this code will run. But chances are high that it will work if you copy those files in irrlicht svn or 1.1 sources and add the COctTreeSceneNodeTriangleSelector files to the irrlicht project. But you should backup of the old COctTreeSceneNode sources before! Lightmaps from Maya to Irrlicht. 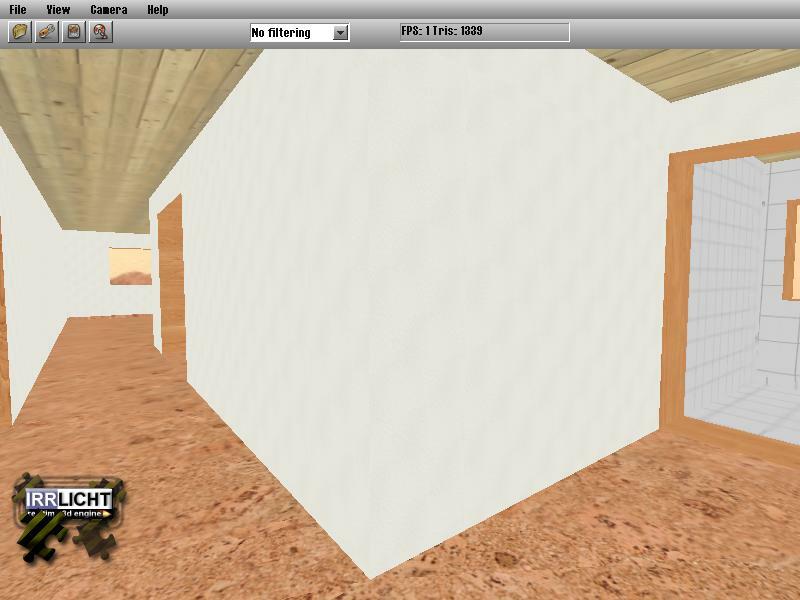 There are a few ways to create and import lightmaps in irrlicht, but none of those worked for us (btw. if you don't know what lightmaps are check it here). What we did was to create the lightmaps in the modeller and export the scene as .obj files once with the lightmap texture and once as the usual scene. I wrote a small tool to merge those two .obj files (resulting in a file called .lmo) and modified the .obj loader so it can work with those .lmo files. You can just add the lmo loader by adding the files to your project and calling sceneManager->addExternalMeshLoader for it. You will also need to add fast_atof.h to the project which can be found in the irrlicht sources. 1. It allows animation export from first to last frame (before it always used the current settings of the timeline). 2. Export of specific b3d nodes can be enable/disabled. For example to export without animations "Animation Nodes" can be disabled. Or to export only animations disable "Texture Nodes", "Brush Nodes" and "Mesh Nodes". This allows to export base-mesh and animations separately. I'm no modeler, but it's good enough for testing ;-) No restrictions whatever for usage, but I wouldn't like it if you would claim it to be your own stuff or if you try to sell it somewhere without changes. I like to hear feedback, especially about stuff I can improve. I might (no guarantee) release any improvements, additional textures and changes others make and send me at this place. Well, as long as you don't put restrictions on it. Based on my own rooms. Textures are mostly based on www.cgtextures.com and some small ones just from browsing google until I found something which looked good enough to use. The .zip should contain (hopefully) all Blender files as well as an .obj usable directly in Irrlicht. No restrictions from my side from using it in any way you like. My first human model. Everything is made from scratch. Unfortunately it sometimes shows, especially for the animations. Exported as b3d files. 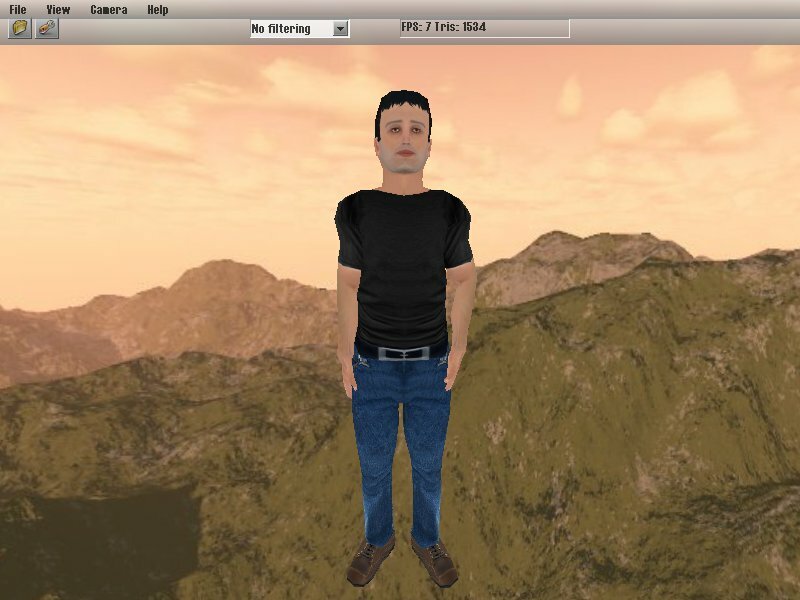 adam_base.b3d contains the mesh in a T-Pose and all adam_ani*.b3d files contain only animation data. adam_ani.blend contains the current blender file and adam_mirrormod.blend contains the last mesh which still has the mirror modifier applied.